India Post has received license from RBI for setting up India Post Payments Bank Limited (IPPB) and Bank has launched operations in two Branches. India Post Payment Bank Limited (IPPB) invited online applications from qualified candidates who will be appointed at Scale I, II, III, V or VII based on the post. The process gone through prelims, Mains examination and Interview. There was waiting list/reserved list of candidates for all the posts. 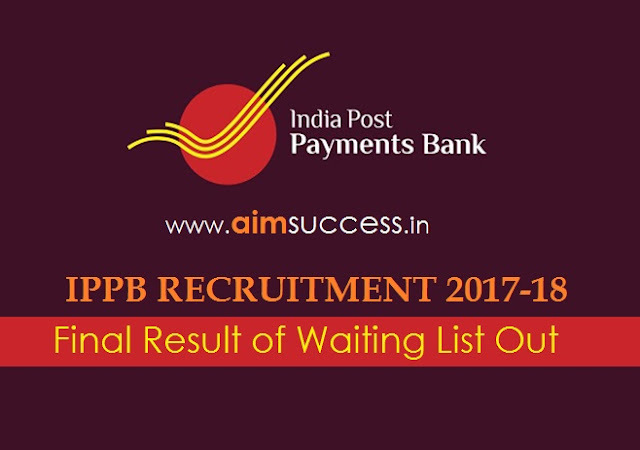 IPPB has released the final list of selected candidates from the waiting list and offer letter for the joining.